We will start by giving you a full body brushing, then we vigorously work a medium granule salt scrub to buff of the dead skin and assist in smoothing and regenerating the skin, ensuring a longer lasting, streak free tan lasting 5 to 9 days. Shape, buff, and polish, OR clear nail revitaliser. Shape, buff, cuticles, massage, and polish. Enjoy extra luxury with our collegen glove. please let us know and we can set up in the nail room. The basic pedicure is nails only. For color, you can choose from OPI, Vinylux or a clear revitanail treatment. A foot overhaul for men and women. We begin by soaking those tired overworked feet in a warm foot bath with organic peppermint foot soak. We then scrub your feet with an organic ginger and lime sugar scrub and foot rasp if needed. Foot massage and a foot masque is then applied whilst the nails are being transformed. We Clip, file, buff and cuticle work is performed as needed. Please note, we are unable to cut the cuticles as this is illegal in Australia. Often the cuticles just need to be pushed back. French polish $20, extra 15mins. Paraffin is a white, non-toxic wax rich in vitamin E. A paraffin pedicure involves dipping the foot in warm, melted paraffin, then wrapping the foot in towels or booties to allow the wax to soak in. Paraffin moisturises and softens the skin, and is used to treat calluses, eczema, and general dryness. The heat can soothe aching muscles and ease pain from conditions like arthritis and fibromyalgia, as well as minor injuries. Even if you aren't suffering from any medical conditions, a paraffin pedicure leaves your skin feeling soft and rejuvenated. Pedi-Peel is the salon only treatment that is designed to remove the hard skin that has developed on the heels or balls of your feet. It can be applied on dry feet prior to a pedicure OR can be applied after the soaking phase of a pedicure, and can be done at two-week intervals. Hard skin on the heels of the feet is softened by Pedi-Peel, which facilitates easy removal by scraping and filing. The result is cleaner and softer skin on the feet. Choose from an array of unique treatments using the very luscious fruit, vegetable and herbal skincare products handcrafted by Eminence Organic Skin Care of Hungary. Since 1958 Eminence has been creating products that deliver naturally glowing healthy skin, releasing your inner and outer radiance. Your skin specialist will select your products and customise your chosen treatments according to the needs of your skin. Firming, exfoliating, pore minimising and detoxifying for all skin types. Reveal a plumped and smoothed skin with the help of this exfoliating and pore minimising treat. A yummy fruit cocktail of blueberries, raspberries and blackberries, infuses the skin with antioxidants and tightens the tissue. The refining and rejuvenating properties of berries, along with detoxifying and stimulating paprika are certain to take years off your skin, leaving behind a youthful glow. Anti aging. 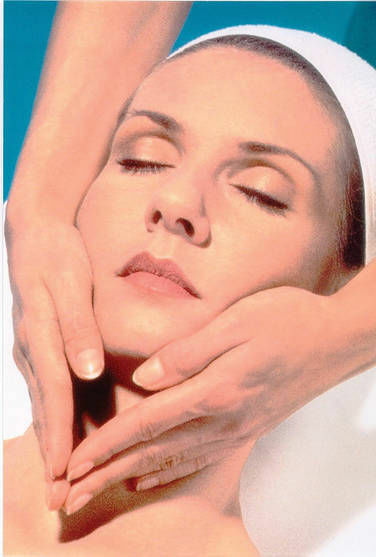 Coconut & bamboo are highlighted in this restorative, anti-ageing facial. Retinol acts to help repair time, leaving skin plump, soft and hydrated. Using Eminence organic skincare, we give a quick skin analysis based on your skin concerns. Eminence features active products paired with delicious smells including citrus, coconut, berry, manoi or a light green stone crop (cactus and bamboo) smell..... Or we can mix theses smells together to give an aromatic explosion. Whether you have specific concerns that you wish treated, or you just want to relax, we'll lovingly find the perfect combination of products just for you. Express hydration boost for all skin types. Gently buff and reawaken dry, thirsty skin with fresh strawberries and rhubarb for a bright and radiant complexion, before replenishing hydration levels with a masque of hyaluronic acid derived from the white marshmallow plant. This juicy express facial will soften and smooth your Sweet Cheeks for a refreshed, youthful glow. Just as men are special, they have different skin. Enjoy a deep cleanse and power scrub to remove the waxy skin mantle, allowing deeper penetration of hydrators. ASPECT Lactobatanical Peel is a powerful yet gentle lactic acid peel excellent for skin renewal and collagen building. This peel can help dull lifeless skin, and congested/acne skin by dissolving the bacteria that causes acne, dehydrated skin, aging skin and ingrown hairs. Also great for men. Depending upon skin type, skin preparation and previous peel experience. We offer 20%, 30 % and 40% lactic. SCRUBS and wraps are all organic and include a facial cleanse and moisturise. Invigorating exfoliation of coarse sugar granules uncover gorgeous skin that feels soft yet toned. Ginger tones and oxygenates, leaving your skin rosy. Smells so good. Indulge your senses with this lush healthy scrub. The sugar boldly exfoliates whilst the AHAs eat up the stubborn areas. Shower away the day, then an organic delicious blueberry shimmer lotion lights up the skin so you will shine. Especially suited to those who are fatigued or have muscle soreness. A delicious ginger and lime scrub exposes fresh skin ready for Hungarian cinnamon, paprika and sage to go to work, drawing out a deeper cleanse, for detoxification and skin renewal. Once cocooned, enjoy a mini facial cleanse and mask whilst the mud is at work. Complete your detox experience with ultra stimulating cinnamon body lotion to plump the skin. Add $20 to include detox box. Add $100 to include 60 minute massage. Our blueberry scrub combines AHA enzymatic exfoliation with a coarse sugar granule to prepare skin for this divine slimming cocoon wrap. Rich in enzymes, this delicious wrap will gently peel and dissolve dryness, fine lines and pigmentation. Enjoy a mini facial whilst the enzymes are going to work on your dead skin, then wash off and complete your skin's transformation with a blueberry shimmer moisturiser, leaving your skin velvety smooth.